1. The Survival Medicine Handbook, written by Dr. Joseph Alton and Amy Alton, A.R.N.P., this book covers just about everything. 2. If you store antibiotics/fish anti-biotics, you should have the Physicians' Desk Reference (PDR). 3. Darkest Days, How to Survive an EMP Attack to the Grid. These books are inexpensive and will come in handy during a SHTF. If you say you can't afford them, I say you can't afford not to have them. They cover just about everything. Operational or military medicine is based on the standard principles of medicine, as practiced in the best of the world's medical centers. But in many operational settings, those principles may be applied in ways different from traditional civilian settings. Operational circumstances may influence the provision of medical care. The Physician's Desktop Reference book is a great resource if you have any prescription medications on hand. But unless you're prescribed the latest and greatest medications then you can save a LOT of money by getting a book that's a few years old. When I was looking for a copy a few years back, I found one that was 3 years old on Amazon for under $6 shipped! You can purchase this book, OR download it for free! This is a 224 page PDF file to download, from the Army. 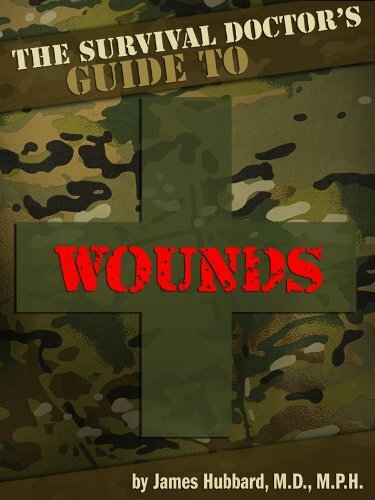 This manual meets the first aid training needs of individual service members. Because medical personnel will not always be readily available, the nonmedical service members must rely heavily on their own skills and knowledge of life-sustaining methods to survive on the integrated battlefield. 305 Page PDF File to download from NATO. It's a VERY EXTENSIVE publication! Although there is ZERO chance that I'm going to be performing surgery, it's publications, like this one, that I like to have in my files, for sharing and using if a community-based medical center has to be set up and resources are limited/hard to find. This is a handbook of war surgery. Its lessons have been learned and then taught by combat surgeons—"young men who must have good hands, a stout heart and not too much philosophy; he is called upon for decision rather than discussion, for action rather than a knowledge of what the best writers think should be done." 1. Experienced surgeon, anesthetist, and operating room personnel. 3. Good lighting and water supplies. 4. Reasonable accommodations under shelter. 5. Well-trained nurses and other professional administrative staff. delivery equipment, and vascular and orthopedic instruments. This 127 page manual came through my facebook feed, today. Hat Tip to "The Medical Survivalist" for the link! When you get a bad injury, the usual advice is to call 911. But what if there is no 911? What if you're in another Hurricane Katrina, a terrorist attack or the aftermath of a tornado? The phone lines are down; the roads are blocked. You are the only help available. Most people wouldn't survive a bad wound without expert help. But with the right knowledge, you and your family can--even with the most basic makeshift supplies. No matter the size of the wound--whether it's a nick, deep cut, stab wound, or gash--Dr. Hubbard guides you step-by-step from stopping the bleeding to closing the wound to giving it the best chance to heal. He teaches the basics but then goes beyond the usual first-aid books and details in plain language techniques rarely taught to laypeople. Bonus videos help you learn many of the do-it-yourself techniques visually as well, such as twisting hair a certain way to close up a head wound. *The easiest way to stop the bleeding in both minor and serious cuts. *Signs a wound is life-threatening--even if it doesn't bleed much--and how to reduce the threat. *How to treat a cut and prevent infection with honey and duct tape. *Dangers to watch for in wounds that require special treatment, including stab wounds, animal bites, and cuts associated with broken bones. *Which wounds should not be closed, and what to do instead. *How to sterilize water and instruments with simple, everyday supplies. *How to save a life even if the wound won't stop bleeding. James Hubbard, M.D., M.P.H., has been a family doctor for over 30 years. He writes the popular survival-medicine blog The Survival Doctor and created My Family Doctor, a health-information site written by health-care professionals. Dr. Hubbard is also the author of "The Survival Doctor's Guide to Burns." When you get a bad burn, the usual advice is to call 911. But what if there is no 911? What if you're in the wilderness, in a terrorist attack, or dealing with the aftermath of a tornado, with blocked roads and demolished phone lines? With the right knowledge, you and your family can survive--even with the most basic makeshift supplies. No matter the severity of the burn--whether it's a minor scorch or a life-threatening, third-degree disaster--Dr. Hubbard guides you step-by-step from soothing the burn to giving it the best chance to heal. He teaches the basics but then goes beyond the usual first-aid books and details in plain language techniques rarely taught to laypeople. *The first, most important thing to do immediately to minimize any burn's impact. *Early signs of killer complications so you can nip them in the bud. *The only way to get skin to grow back on a serious burn--an advanced technique taught to medical experts almost exclusively. *How to make your own burn dressings using honey and rags. *Which plant soothes burns best and how to make it last by extracting the most gel from the leaves. 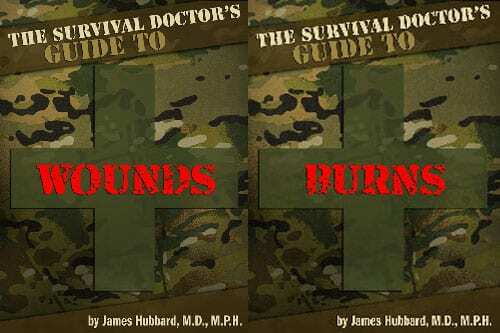 The Wounds and Burns e-books by Dr. James Hubbard, M.D., M.P.H, AKA “The Survival Doctor“, are a solid addition to any home preparedness library, with information the everyone should know. Whether you are miles from help or immersed in an urban disaster situation, every second counts during a medical emergency. This book will help you take quick, effective action to stabilize the situation. Plus you'll find detailed packing lists for survival first aid kits of all sizes. 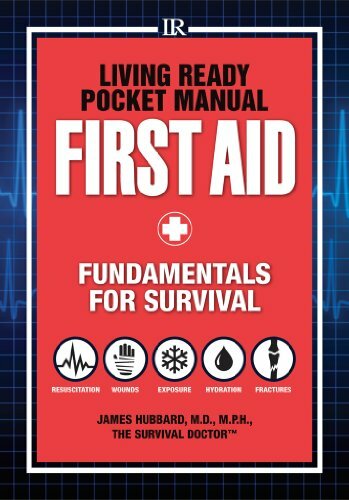 This pocket-sized manual is perfect for packing in first aid kits, bug out bags, day-hiking packs and vehicle kits. Medical emergencies are unplanned and unpredictable, but you can be prepared. Arm yourself with knowledge that can save a life. 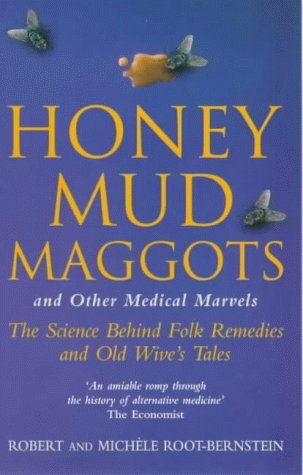 Eating clay, drinking urine, applying honey to deep wounds and mere plaster to crushed bones: these are all folk remedies for ailments, passed on through the generations and thoroughly discounted by modern science. It is too bad, write scientist-historian couple Robert and Michèle Root-Bernstein, who deplore the loss of proven methods developed without the blessing of the academy, noting that "formal academic systems are only one of many ways in which knowledge is discovered, accumulated, and transmitted." Many scientists are now coming to agree with this view, they write in this fascinating collection of case studies. Researchers have showed that black tea, for instance, has powerful antibiotic properties and that maggots do an extraordinary job of cleaning wounds--as traditional healers have known all along. The following protocols outline the emergency medical support that can be administered under austere conditions by emergency medical services (EMS) providers credentialed by the Department of Homeland Security (DHS) Offi ce of Health Affairs (OHA). These protocols are intended to supplement the DHS/OHA Basic Life Support (BLS) and Advanced Life Support (ALS) protocols when providers are operating in austere environments. 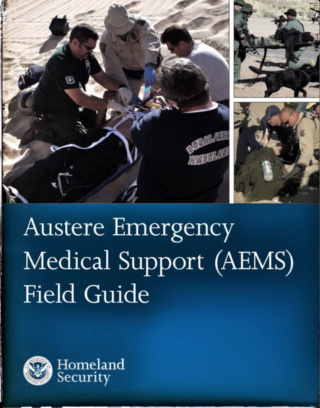 The AEMS field guide is intended to serve as a series of suggested best practices. Medical providers are strongly encouraged to follow these suggestions, and should consider doing so in whole or in part to the extent that his/her training or experience is sufficient.